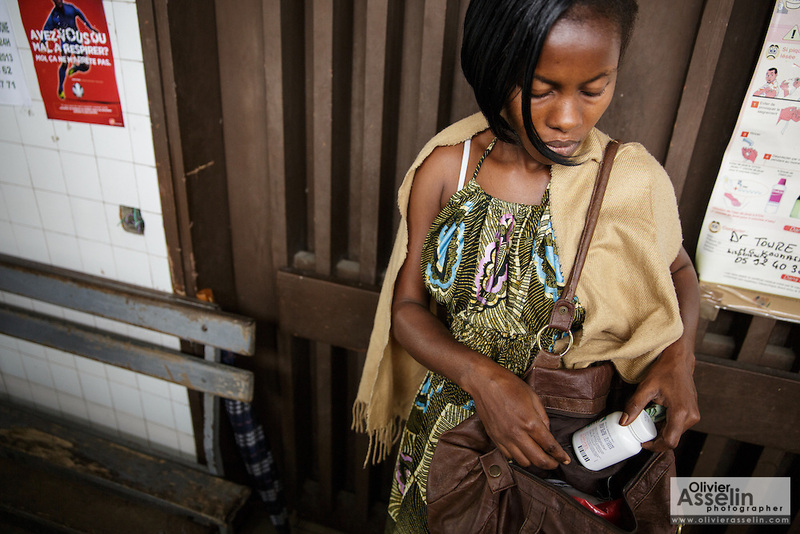 Marielle Gnabrayou Digbeto, 28, puts a pill bottle into her purse as she leaves the pharmacy at the Koumassi general hospital in Abidjan Cote d'Ivoire on Friday July 19, 2013. Marielle is pregnant with her first child and HIV positive. She's taking drugs for eMTCT, but doesn't want people to know for fear of being rejected. She lives across town but comes to the Koumassi hospital so that nobody will find out.